Death Squared is a cooperative puzzle game where you can play locally with two players, four players or by yourself. 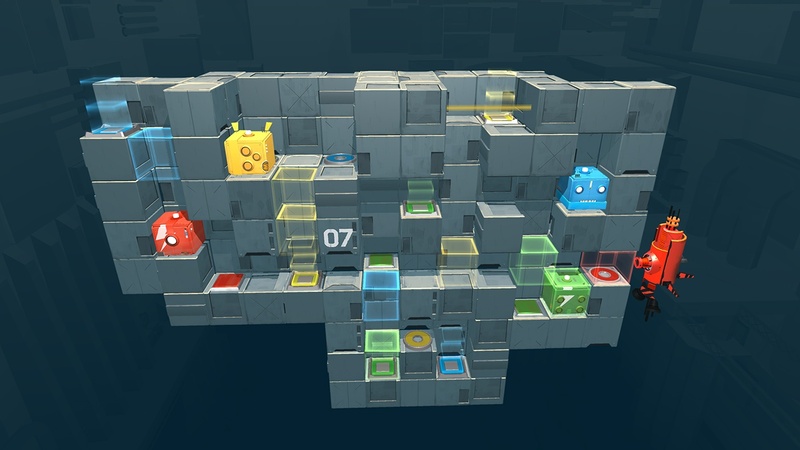 The goal of the puzzles is to guide two to four AI robots, depending on which mode you select, through several obstacles to get each colored bot on the corresponding colored circle. There are obstacles such as lasers, moving cubes and spikes. Each of the levels contains some combination of these and other challenges. 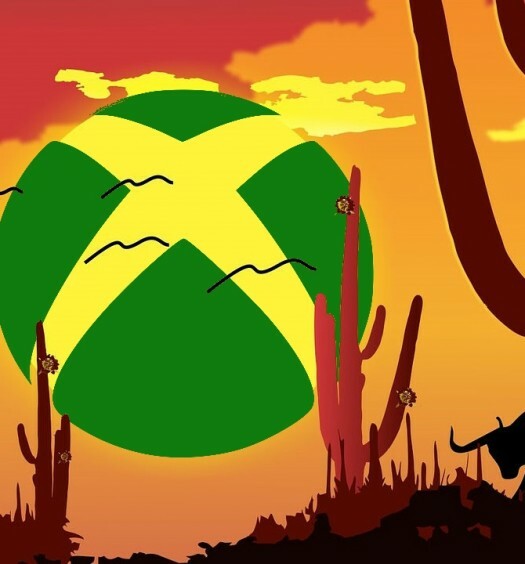 If you are playing by yourself or with one other person, there are 80 co-op levels to play. Each player, or each joystick on one controller, will control each of the two bots. The four-player mode is also playable by yourself, but is best experienced with friends. In the background, you will hear two characters provide entertaining dialogue as you play, David and Iris. This game has a pretty simple concept and the only control you need is movement. Other buttons have their own functions but do not provide any assistance in the game. If you fall off the stage or hit one of the deadly obstacles, the level restarts while tracking how many deaths each bot has. There is also a running counter for your total deaths across the entire game mode. Difficulty scale — There doesn’t appear to be a set and defined difficulty progression but in general the levels will get harder as you play. There are times when an easy level will sneak in there between the higher levels, but overall the hardest level in the main section amounts to what could be considered an intermediate difficulty. Another layer is added with the achievements; there are achievements for completing certain numbers of levels in a row without dying. This can actually be frustrating at times when you’re on a roll and fall off the ledge on the last level you need to unlock the achievement. The frustration passes quickly as you have so many levels to play that you will probably do it again without much trouble. You can also replay any of the levels, perhaps the earlier ones, once you get a feel for the controls and the puzzles. Amount of content — As I mentioned above, there are 80 incredibly enjoyable levels to play by yourself or with a friend. After that, there are 40 more four-player levels that can also be played by yourself, though much more challenging than with a friend. Still not enough? There are 30 more challenging levels located in a section called the “vault” that were considered to be too difficult for the main section. 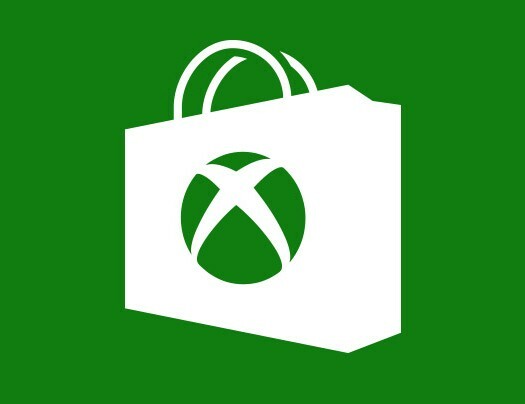 SMG Studio has also said there will be more levels coming to the vault for free. Did I mention there are also several hidden objects to collect? This is not a game to be played in one sitting; but even if you did, there would be plenty of content to keep you busy. 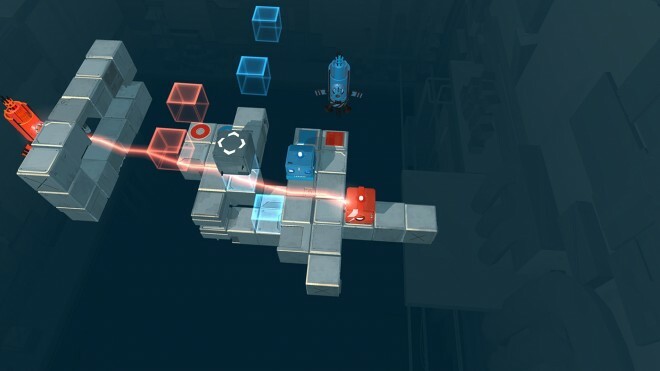 Death Squared has a way of sucking you in every time you play without getting dull and, because each level is relatively quick, it is also easy to take a break from when you need to. Hilarious banter — David is a level one technician for a company, OmniCorp, who is accompanied by his A.I. assistant, Iris. These two provide some of the best comedic dialogue that I have heard in a game. This games seemingly takes place in the future as they make references to 21st century memes, SkyNet and even “that whole thing with the gorilla.” Sometimes they will make bets on which bot will die first, which is entirely in your control, or what the bots success rate for the level will be. They even follow through with the bets if the outcome occurs. For instance, they make a bet on which design one of the bots will choose and if you select that one, they acknowledge the bet and transfer the other one “credits.” Without their opinions and banter, this game would be about half as fun as it is. Use of modifiers — There was a part of one of the levels where David asks about modifiers and starts to play with some that affect the controls. One of these modifiers reversed the controls for the bots mid way through the level. This caused me to fall off quite a few times; but after 30 seconds, David turned the modifier off. There were not many of these modifiers introduced but adding more and being able to replay the levels and toggle different modifiers on and off would greatly increase the challenge and replayability of this game. I’d struggle to find something I didn’t like if they hadn’t included the teaser for these modifiers at all. 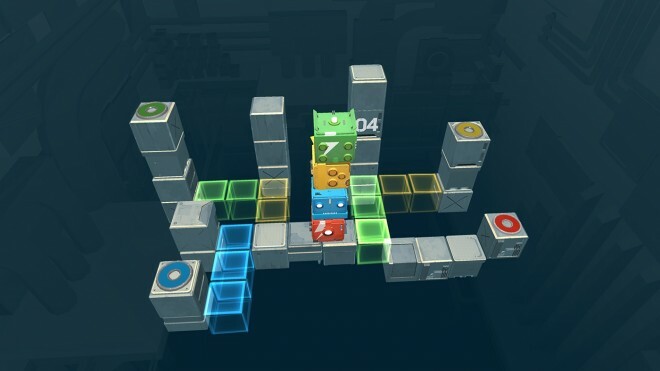 Death Squared is a smooth, simple and challenging puzzle game that focuses on bringing playful humor to what could have easily become a repetitive experience. The dialogue and included “glitches” in the program almost completely mask any sense of tedium with each of the many levels. If you are normally on the fence about puzzle games, this just might be the one to convince you. Whether you want an entertaining solo challenge or a fun new game to play with friends on the couch, you won’t need to look further than this. 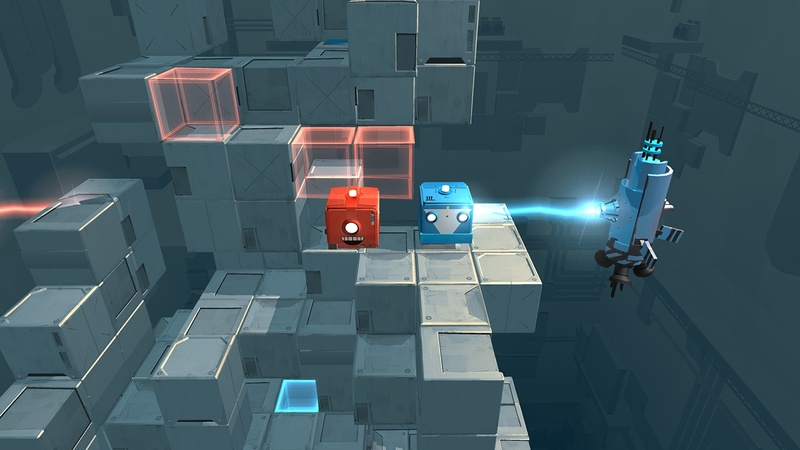 Death Squared was developed and published by SMG Studio on Xbox One. It released on March 13, 2017, for $19.99. A copy was provided for review purposes.